Tamiya Solar Panel items (Item 76002 & 76003) have been renewed! These new solar panels feature a 1.25 times higher power generation efficiency than the previous products. The polycrystalline silicon cell is coated with epoxy resin and placed in a plastic case for increased durability. 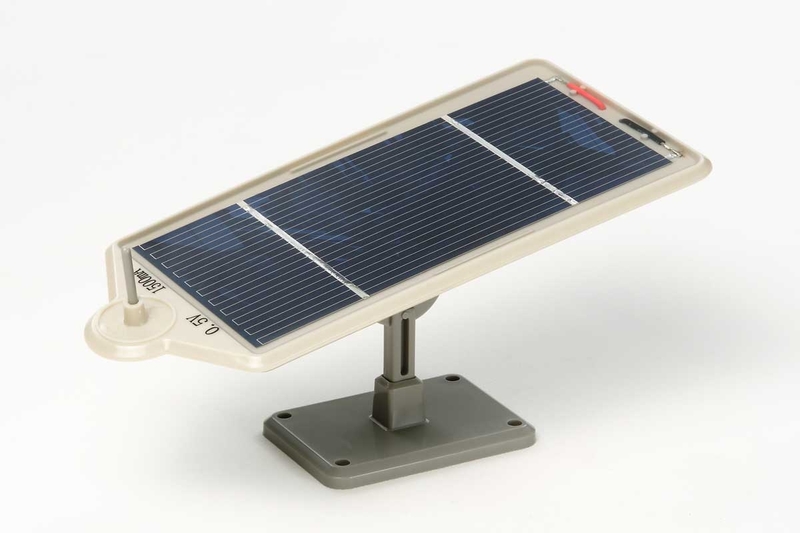 These solar panels can be used to power Tamiya Solar Motors (Item 76004 & 76005) and the Low-Current Motor Gearbox (3-Speed) and (Item 70203) to enable a wide range of solar-powered mechanical applications. Each item comes with a stand to easily adjust the panel angle towards the light source.